Bet on The Derby at William Hill! The 236th running of the Epsom Derby will happen on June 6, 2015. This is Britain’s richest horse race, and there will be £1.325 million in prize money on the line. The Derby Stakes, known popularly as just The Derby, is one of the most important and recognized horse races in the world each year. In America, the race is known as the Epsom Derby to distinguish it from local derbies and because the race is run at Epsom Downs in Surrey, England. The Epsom Derby is not just a single race but also a two-day event. This year, the event will begin on Friday, June 5, Ladies Day, and conclude on Saturday, June 6, Derby Day. 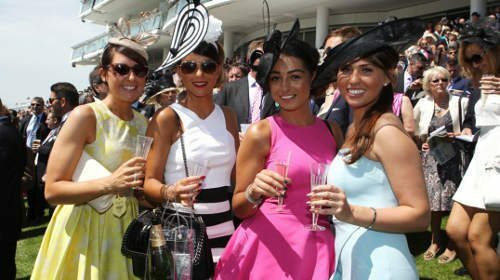 Ladies Day, which as know as much for its fashion and socializing as it is its racing, will feature seven races. Kicking off the races will be the Princess Elizabeth Stakes, which is a one and 1/8 mile Group 3 contest. The other races, which are all sponsored by Investec, include the Wealth & Investment Stakes, the Diomed Stakes, the Investec Mile, the Investec Oaks, the Surrey Stakes, and the Specialist Bank Stakes. Novice bettors should note that odds for many of these day one races will not be available as early as the odds for day two races, so bets will have to be placed closer to the event. Derby Day kicks off with the Investec Private Banking Stakes, which is one mile and 114 yards, and will continue with Woodcote Stakes, a listed race; the Investec Coronation Cup, a Group 1 race; and the Investec Corporate Branding ‘Dash.’ Then comes the Investec Derby, which is the one mile and four furlong race everyone will be anticipating. That race will be followed by the Out Of The Ordinary Stakes, and then the Investec Asset Management Stakes will close out the day. Note that while the Derby gets a lot of the casual attention, the two final races see a significant amount of action. The Derby is a notoriously difficult race to peg, and there is no indication that the 2015 Investec Derby will be an exception. There will be at least 10 horses running that have a realistic chance to win it all, and that is with no more than 15 running altogether. Gleneagles may be one of the favorites, and that is a horse no one was talking about a week ago because no one were even sure he would run. Bettors should note that while the Derby is an unusually unpredictable race, there will still be some really enticing opportunities available via the betting exchanges. 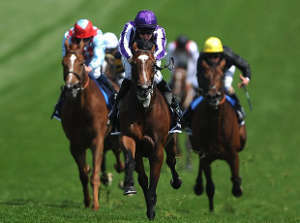 Bets for the Epsom Derby can be placed at the track, at off-track betting locations, and online. All of the online racebooks will accept Derby action, and most of them already are. As mentioned, bettors should not sleep on the betting exchanges because the Derby is one of those events that draw casual betting. Due to the unpredictability of the event, we tend to prefer modest parlays rather than larger action on straight-up bets, but the straight-up bets available through the exchanges can be enticing as well. As of this writing, many of the day one fields were not finalized. Strategies cannot be formed yet in that case, but this can work to a punter’s advantage by watching who withdraws and who enters later because they are on an uptick. One of the day one races that has already taken shape is the Investec Oaks. This is the second fillies’ Classic of the season, and it is difficult to ignore Danehill Dancer, who won the first Classic and is looking to be the 48th horse to win the 1000 Guineas/Oaks Classic Double. The one horse we would bet on to win at all at the Derby this year is Galizzi the Fancy, who’ll be running in the Investec Out Of The Ordinary Stakes. His odds were 5/1 at the time of this writing, and we advise locking in that bet to win now. Yenhaab is also an attractive option, and Galizzi and Yenhaab can make for a nice one-two punch. Something to keep in mind for day two is that the Investec Handicap is likely to be a messy race. A longshot can win this one, so it is a good option for a flier or two. If you’d like to bet on this event, you can receive up to £105 in free bets! Click here to open an account at William Hill, place a bet of £50, and regardless of the outcome of that bet, you will receive a free bet coupon worth £50! Visit our WilliamHill free bet page to learn more. Next, open an account at Ladbrokes Sports and place a bet of £25, and you will receive another free bet worth £25! You can read more details on this Ladbrokes free bet here. Finally, open an account at Betfair Sports, place your first bet of £10, and then receive £30 in free bets! Find more details on our Betfair free bets page. That’s a total of £105 in free bets that you can use on The Derby! Enjoy the races and good luck! Of course, the Champions League Final is the same weekend, so you can place some of your free bets on the football match. Check out our Champions League Final free bets page here.